Habinteg is calling for suppliers to nominate information communication technology (ICT) products or services designed to make life easier for older and disabled people. 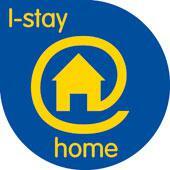 Submissions will be considered for inclusion in a new database of resources as part of the European I-stay@home project in which Habinteg is the UK partner. The I-stay@home project is part funded by the EU via the European Regional Development Fund (ERDF) Interreg IVB NWE programme and aims to identify, select and test a range of affordable ICT solutions that can assist disabled and older people to continue living independently in their home.